Yes… I cheated and bought a kit. This is our first gingerbread house and making it from scratch was too intimidating. 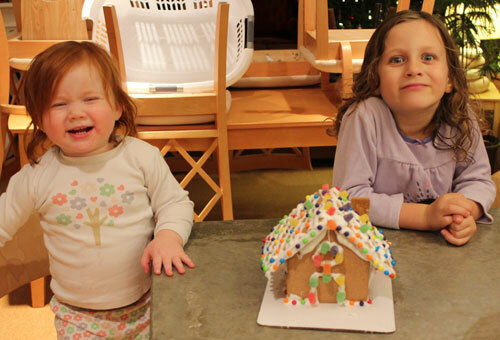 A gingerbread house kit rocks! It is also tasty and quickly disappearing!